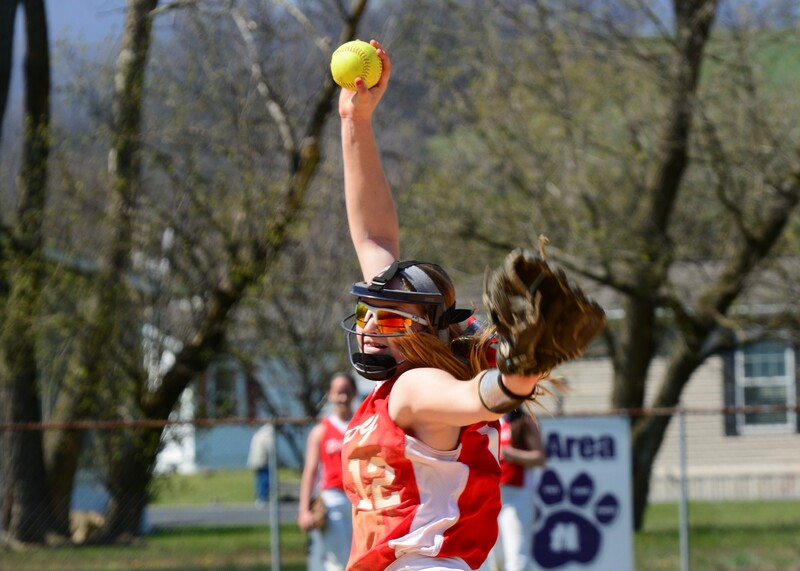 PUNXSUTAWNEY, Pa. – In a battle of unbeatens, Kylee Lingenfelter tossed a one-hitter with 16 strikeouts, as Punxsutawney stayed unbeaten while handing visiting DuBois Central Catholic its first loss, 5-1. 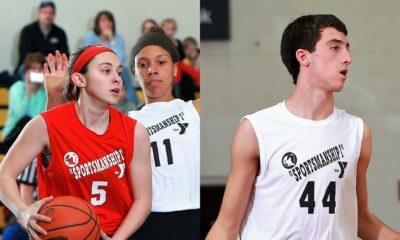 The Lady Chucks (19-0) scored twice in the second, one in the fourth and twice more in the fifth, while DCC’s lone run came in the fourth. A hit batter, a single and two errors helped Punxsy grab the 2-0 lead with Kim Shoemaker driving in a pair with an RBI single. DCC (16-1) picked up its run in the fourth on a single by Jordy Frankl, an error and a wild pitch, but Punxsy went back up two in the bottom of the inning on a solo home run by Tessa Winebark. The Lady Chucks then got an RBI double from Lingenfelter and a sac fly from Morgan Adamson in the fifth for insurance. Riley Assalone only gave up five hits in taking the loss. She allowed five runs, three earned, while walking one and striking out one. KNOX, Pa. – Logan Byers pitched out a bases-loaded, nobody out jam with the game tied in the bottom of the fourth, and her teammates rewarded her by scoring 12 runs over the next two innings to lift visiting Karns City to a 14-3, six-inning win over Keystone. Byers replaced Mackenzie Shay with runners on first and third and no outs in the fourth after Keystone had scored a run to tie the game at two and promptly hit the first batter she faced. But she got out of the sticky situation with a groundout and two strikeouts. Karns City then scored three times in the top of the fifth before sending 14 batters to the plate in the sixth scoring nine times thanks in part to four Keystone errors and a wild pitch on a strikeout. Byers got the win allowing one run on two hits and the hit batter while striking out three in three innings of work. Shay went the first three-plus innings allowing two runs on four hits and two walks. Makala Bailey paced the Karns City offense going 3-for-5 with two runs scored and two RBIs. Katie Neff was 2-for-4 with a double, an RBI and a run scored, while Chandley Stuchell was 1-for-2 with two RBIs and two runs scored with both of her at-bats coming in the sixth inning. Also for the Gremlins, Emily Wolfe went 1-for-5 with an RBI and two runs scored, Mackenzie Dunn was 1-for-4 with a run scored and two RBIs and Kate Allen scored twice. Reagan Lecker was 2-for-3 with an RBI and a run scored for Keystone, while Jess Phillipi tripled and scored. MaKena Stiller took the loss going six innings allowing 14 runs, but only one earned run, on 11 hits and a walk while striking out six. PARKER, Pa. – Cam McNany went 3-for-3 with a triple, four stolen bases, two runs scored and three RBIs to help A-C Valley to a 12-1, five-inning win over visiting Rocky Grove. Sydnie Rankin added a 2-for-3 day with an RBI, while Elyssa Papucci was 2-for-2 with a double, triple, two runs scored and an RBI and Kelsie Terwilliger 1-for-3 with a three-run home run in the fourth. Sydnie Schmidt got the win going five innings allowing one run on three hits and two walks. Sarah Shook had an RBI double for Rocky Grove while Paige Phillips doubled and scored a run. STRATTANVILLE, Pa. – Cassie Cochran, Sarah Lander and Makiya Bellotti combined to drive in 11 runs for Forest Area in a 16-11 road win at Clarion-Limestone. Cochran was 3-for-5 with five RBIs for the Fires, while Lander was 4-for-4 with a double and three RBIs and Bellotti 2-for-6 with a triple and three RBIs. Also for Forest Area, Jasmine Ginnery went 3-for-5 with an RBI, Destiny Ginnery was 3-for-5 with a double and an RBI, Jaycee Redick was 4-for-5 and Allison Lencer 2-for-4. Abby Carl was 4-for-4 with a double for C-L, while Sadie Mahle went 1-for-4 with a double and three RBIs. Jasmine Ginnery got the complete-game win. She struck out four. 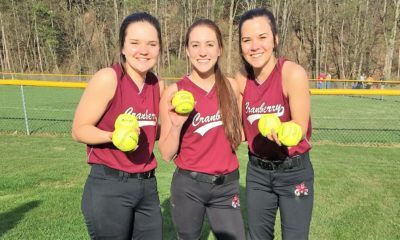 STONEBORO, Pa. – Bree Swartzfager went 4-for-4 with a double, a two-run home run, two runs scored and two RBIs to lead visiting Cranberry to a 13-3, six-inning wins over Lakeview. Andrea Watson, Libby Kiefer, Rachel McCauley and Nicole Hutchinson all added 3-for-4 performances for the Berries with Watson knocking a pair of doubles and scoring three times, Kiefer also getting a pair of doubles while seeing her courtesy runner, Elaine Kahle, score a run, McCauley scoring a run and Hutchinson getting two doubles, two runs scored and two RBIs. Also for the Cranberry, Malliah Schreck went 2-for-4 with a double, an RBI and two runs scored and. Hannah Duncan was 2-for-4 with a double, an RBI and two runs scored. Natalie Barcinas got the win going 4 ⅓ innings allowing two unearned runs on two hits and six walks while striking out three. Watson finished off going 1 ⅔ innings allowing one unearned run on three hits while striking out three. PORT ALLEGANY, Pa. – Winning pitcher Makaya Shadle allowed three runs on six hits and two walks while striking out 12 to lead visiting Galeton to a 5-3 win over Port Allegany. Regan Fuller was 3-for-4 with a double for the Lady Tigers. Erin Stauffer went 2-for-4 and Jenna Sprankle had an RBI double for Port Allegany. Makenzie Burr took the loss. She allowed five runs on eight hits and two walks while striking out three. 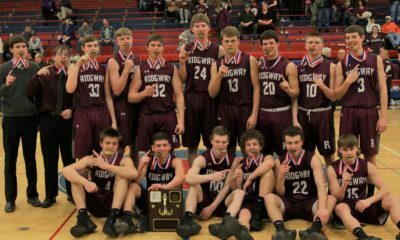 BRADFORD, Pa. – Cameron County scored all 12 of its runs in the top of the sixth inning on its way to a 12-1 win over Bradford. Amily Schatz drove in five runs for the Lady Raiders while going 1-for-4 with a double and two runs scored. Taylor Britton also doubled and drove in three while scoring a run for Cameron, and winning pitcher Laila Smith was 3-for-4 with two runs scored and two RBIs. Alyvia McKimm also added two hits, including a double, a walk and two runs scored. Makenzie Maley was 2-for-3 with a run scored for Bradford with Emily Warner also going 2-for-3. Smith got the win going six innings allowing one unearned run on five hits and a walk while striking out seven. Kaylee Brown took the loss giving up 12 runs, four earned, on nine hits and two walks in six innings of work. YOUNGSVILLE, Pa. – Kathy Sveda was 3-for-3 with a home run, three RBIs and three runs scored to lead Youngsville to a 13-6 win over visiting Sheffield. Rebekah Hoff added a solo home run in her only at-bat for the Eagles, while Madi Mineweaser was 2-for-3 with two RBIs and two runs scored, Caitlin Craig was 2-for-4 with a run scored and two RBIs and Erin Dunn was 2-for-4 with a double and two RBI. Marissa Grubbs tripled and scored for Sheffield while Jasmine Vera had a pair of RBIs. CURWENSVILLE, Pa. – Kayley Hartnett drove in a pair of runs to help Sheffield to a 7-1 win over visiting Brockway in the first of a pair of games for the Lady Tide at home. Harnett was 2-for-2 with three runs scored, while Bailey Bloom went 2-for-4 with a double and an RBI and Hannah Dixon 1-for-4 with a double, a stolen base, two runs scored and an RBI. Kaitlyn Morelli paced Brockway going 2-for-4 with a double and a stolen base. Clerissia Cole got the win going seven innings allowing one run on seven hits and a walk while striking out two. In the second game of the day for the Lady Tide, they scored a run in the eighth to beat Elk County Catholic, 11-10. No stats were available for that game.